As the year ends we can take the time to reflect on what we have learnt as businesses and as people for 2018. And what better way to do this then a sharing and caring session of your best life and business hacks? You’re invited to come along to the best interactive session of the year – share something of yourself and maybe pick up a useful tip or two on the way. But wait, did we mention there’s a prize? Best Hack, as voted by the members on the morning, wins! 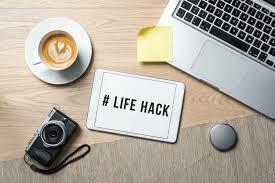 Presenters on the day, Tracey Nuthall and Lee-Anne Hunt, want to bring this session to life with your best Business Hack (which could be some way related to your business or just some help about being a business owner). It doesn’t have to be hard; it could be a tip about using Microsoft or how to make your fridge always smell fresh! Let’s help each other save time & money & our sanity! We will love them all.